Along with their advisor, Lisa Ellis, Scotland High School’s Future Business Leaders of America (FBLA) chapter recently participated in its’ 2013 State Leadership Conference April 17 – 19 in Greensboro, NC. 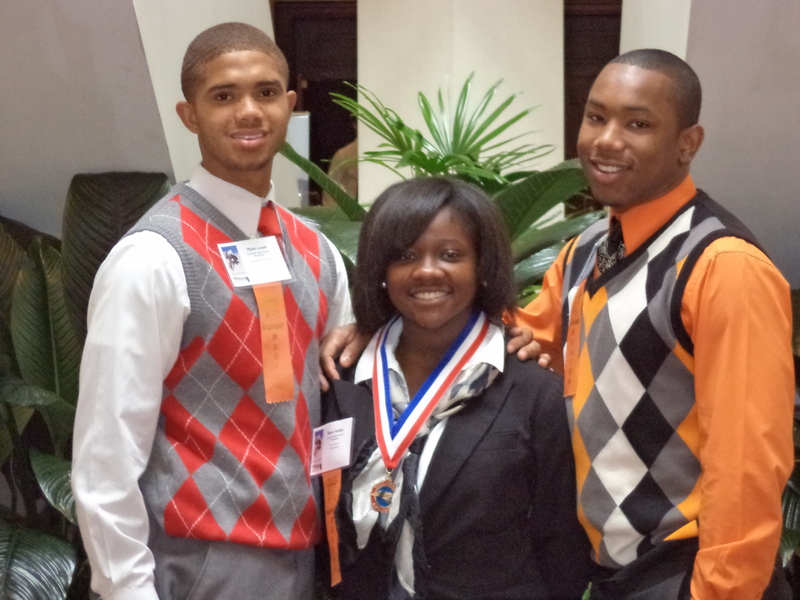 Maya Addai advanced from the regional competition in December of 2012 to compete in Public Speaking I. Ryan Leak and Chris Moss competed in Emerging Business Issues. Maya Addai finished first in the state; Ryan Leak and Chris Moss advanced to the second round, for a top ten finish in their event. Maya will advance to the National’s to be held in Anaheim, CA June 27 – 30. Congratulations to all!